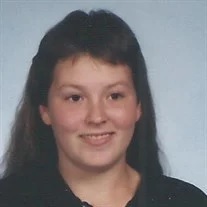 Courtney Ann Salvador, 39, of Chattanooga, passed away Wednesday, March 13, 2019. She had lived in the Chattanooga & North Georgia areas and was of the Baptist faith. She was preceded in death by her grandfather, Frank Smith, Jr. Survivors include; father, Charles Holbert, Sr.; mother, Roxanna Delilah McNely; her husband, Douglas Edward Salvador; children, Carolyn Salvador, Douglas Rocky Salvador, Thomas Jacob Salvador and Illah Shey Salvador; brother, Charles Holbert, Jr.; sister, Heather Weaver; grandson, Grayson Childers; and numerous extended family & friends. Funeral services will be held at 1 p.m. Tuesday, March 19 in the Fort Oglethorpe Chapel. Entombment will follow in the LaFayette Memory Gardens. The family will receive friends from 3-8 p.m. on Monday and prior to the service on Tuesday at the funeral home.